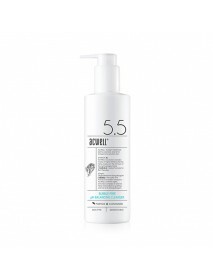 BUBBLE-FREE pH Balancing Cleanser＇Product DescriptionWithout the moisture barrier damage! Because it protects the kin with the nonionic surfactant.No sulphate surfactant! 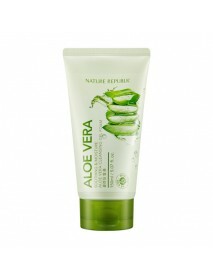 So it can do a mild cleansing without foam.Soothing effect with Puritox Jin fro..
Low pH First Cleansing Milk Gel＇Product DescriptionA silky cleansing milk that gently melts away base makeup, dirt, and excess oil, without any greasy residue.＇How to useFor best results, apply directly to dry skin before a foam cleanser, Massage eve..
Aloe 92% Shower Gel＇Product DescriptionContaining jeju aloe vera leaf 92%Moist after a showerCooling & Soothing effect＇How to useTake an appropriate amount on a sponge, work into lather, and then massage over skin, Rinse well.＇Capacity - 250ml..
Secret Of Sahara Cleansing Duo＇Product DescriptionBe Clean, Be Moist Cleansing Water Non-irritating, deep cleansing waterHypoallergenic and moisturizing, Huxley Be Clean, Be Moist Cleansing Water is enriched with certified-organic, Sahara’s prickly p..
Secret Of Sahara Cleansing Gel Be Clean, Be Moist＇Product DescriptionAn ultra-gentle cleansing gel that removes any traces of makeup, dirt and impurities.Enriched with antioxidant-rich Prickly Pear Seed Oil and Cactus Extract to leave skin smooth, su..
SPA Routine Trio＇Product DescriptionA special three-step, binge-masking routine that exfoliates, soothes and intensively moisturizes.This at-home spa skin care regimen features the Scrub Mask Sweet Therapy, Healing Mask Keep Calm and Sleep Mask Good ..
[INNISFREE] Jeju Bija Trouble Cleansing Gel [Description] A refreshing facial cleansing gel for removing makeup and treating skin problemsContains Jeju bija oil for outstanding, enhanced skinContains natural ingredients, such as salicyl acid, to re..
[NATURE REPUBLIC] Soothing & Moisture Aloe Vera Gel Foam [Description] Excellent moisturizing power helps protect your skin after washing. [How to use] 1. 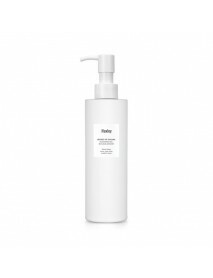 Foam a desired amount of cleanser by rubbing in wet hands. 2. 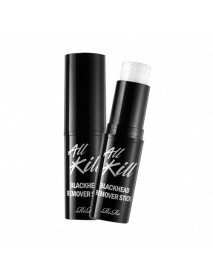 Massage onto face and rinse ..
All Kill Blackhead Remover Stick＇Product DescriptionBlack head stick to remove black head,white head and dead skin cell and to make clean and smooth pores＇How to useGently rub it onto the wet nose and then rinse with water.＇Capacity - 10g..
Rub Lom Cleansing Lom＇Product DescriptionDeep cleanses, tones, exfoliates.Removes the most stubborn make-up and eye make-up.The result is clean, perfectly balanced skin with a radiant complexion.Suitable for all skin types.＇How to use1. Apply a moder..